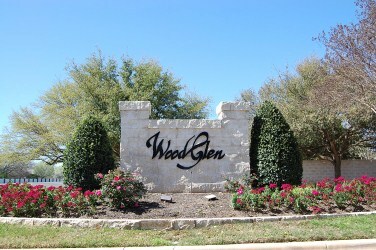 Wood Glen is a very nice luxury home neighborhood in Round Rock located off of 3406, just 5 minutes from IH35. These beautiful homes have large trees, as well as large lots. Popular home builders here include Newmark Homes and Hammond Homes. It is also very close to the Brushy Creek Park which has several miles of trails, tennis courts, playscape, swimming pool. Commuters also enjoy quick commutes to places such as Austin, Georgetown, Pflugerville, Cedar Park, and Leander. Nearby major employers include DELL Computers, TECO -Westinghouse, St. David's Round Rock Medical Center, Scott and White hospital Round Rock, and the City of Round Rock. It is also very convenient to shopping and restaurants such as The Round Rock Outlet Malls, IKEA, The Domain in north Austin, Wolf Ranch in Georgetown, Chuy's, and Salt Grass Steakhouse. Homes for sale in Wood Glen typically run from the high $200's - $400's. Old Town elementary, Walsh Ranch middle, and Round Rock high school.